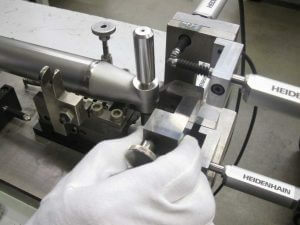 Did You Know That DutchAero Uses HEIDENHAIN Products in Measuring and Quality of Aircraft Parts? 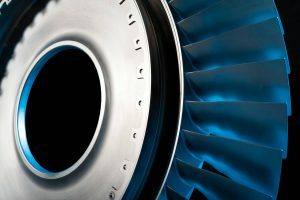 The Dutch enterprise DutchAero has been a renowned manufacturer of complex parts for the aircraft industry for 50 years. With support from the parent company KMWE, the production engineers developed a new measuring device for quality assurance that not only fulfills present tasks but is also equipped for the future. 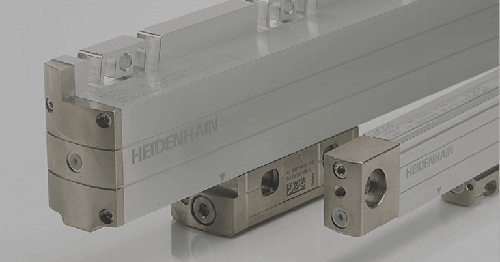 The core elements are 17 HEIDENHAIN-ACANTO touch probes and the modular MSE 1000 subsequent electronics. After 20 years of accurate and reliable service at DutchAero it was time to replace the old measuring device and go new ways. “Failure of the measuring device would have seriously endangered our production,” explains Ben Dekkers, production engineer in the sheet metal processing shop at DutchAero. “Since there are hardly any more spare parts for the old devices and associated computers, we wanted to forestall this worst case at all costs.” Ben Dekkers found support from colleagues in the parent company KMWE. With their collaboration he launched the demanding project and developed a new measuring device that will again accurately and reliably monitor the quality of manufactured aircraft parts for many years to come. Ben Dekkers summarized the high demands plainly and simply: “The new measuring device should have at least the performance of its predecessor and also be equipped for new tasks. Apart from that, we wanted automatic acquisition of the measured values of the products to be inspected.” Extensive data acquisition is necessary to be able to monitor the measured quality. The colleagues at KMWE were responsible for this special task and developed and programmed the corresponding software. 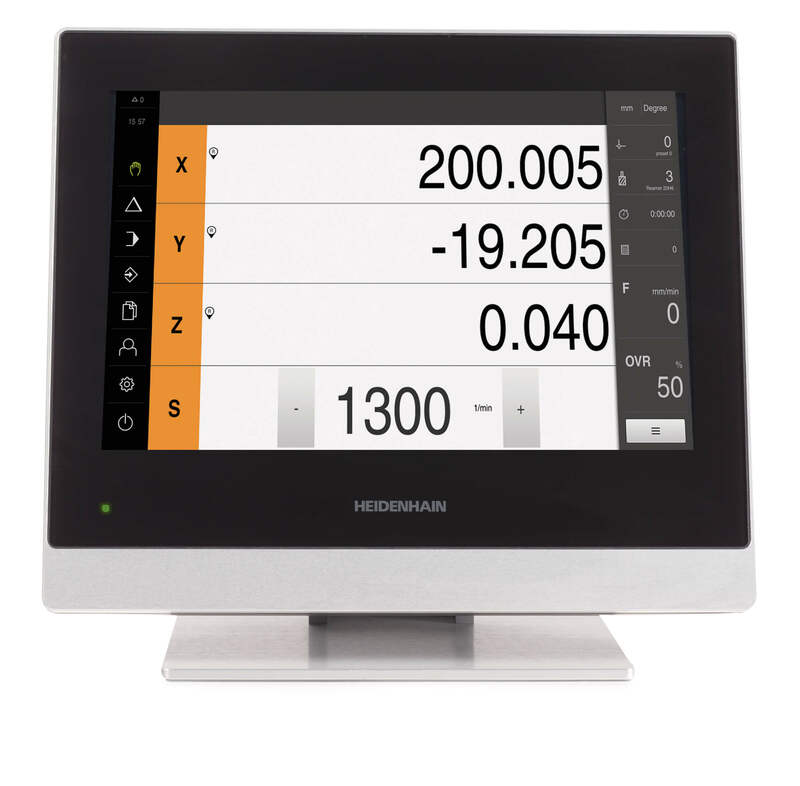 The new measuring device, developed and manufactured in-house, essentially consists of 17 touch probes of the HEIDENHAIN-ACANTO series and modular MSE 1000 subsequent electronics. Ben Dekkers explains the setup: “The ACANTO touch probes measure two different high-tech aircraft parts manufactured in series by DutchAero for the no of a jet engine. The MSE 1000 acquires the measured values, produces a complete electronic report and provides easy process monitoring.” At present there are still nine touch probes responsible for one part and the other eight for the other part. In future, however, all 17 HEIDENHAIN-ACANTO touch probes are to be used simultaneously. Everyone party to the project is very pleased with the result of their combined efforts. 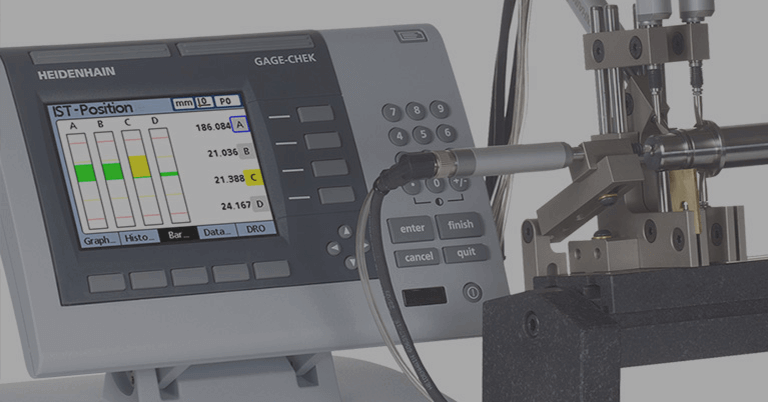 Ben Dekkers: “The touch probes in our measuring device work with an accuracy of ±2 µm. We do not need such a high level of accuracy yet, but it gives us a margin for the future.” The measuring device is already being used in production. In parallel, DutchAero is testing the repeatability and reproducibility of the complete setup—a very complicated procedure with extensive test series. 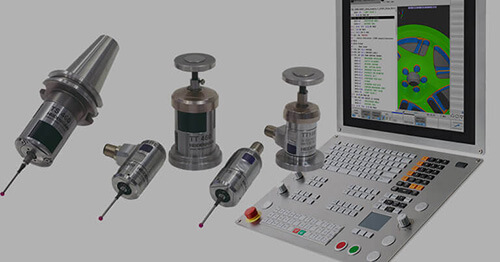 Data acquisition station for the 17 touch probes: the MSE 1000 subsequent electronics acquires the measured values, records them in full and monitors the processes. Measuring tasks as required by DutchAero demand special capabilities from measuring devices. Incorrect measurements must be avoided while evaluable additional data need to be available at every machining step. 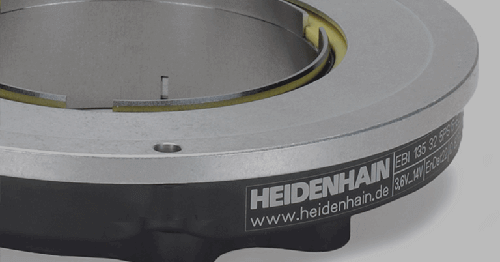 HEIDENHAIN-ACANTO touch probes ensure fast, reliable and accurate measurements. They measure without requiring a reference run for every request for an absolute position value. This rules out any measuring errors from excessive plunger velocity from bouncing or strong vibrations such as can occur with incremental encoders during very dynamic measuring tasks, e.g. on test stands. Multipoint measuring stations are becoming ever more important in the field of industrial measuring technology as with DutchAero. In these applications there is electronic control of the simultaneous acquisition of multiple measured values on one or more test pieces—with complex measuring tasks often also as part of a defined inspection life cycle. The modular MSE 1000 subsequent electronics makes it possible to simultaneously acquire data from up to 250 measurement channels over a wide variety of interfaces. 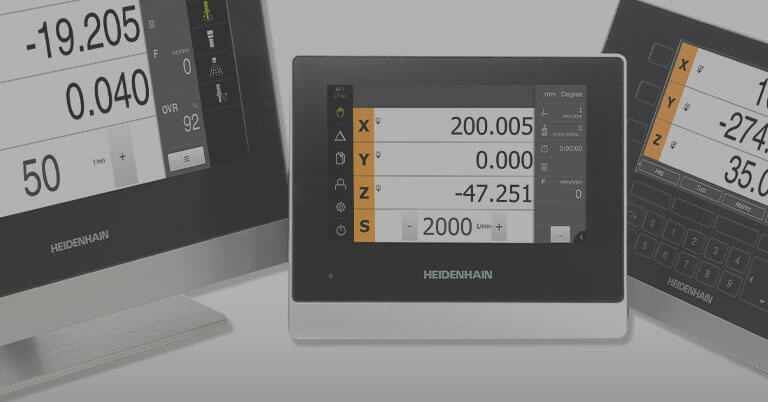 In designing the MSE 1000, it was very important for HEIDENHAIN that installing the modules and connecting them to the measuring device were made as simple as possible. Modules can be mounted to DIN rails to achieve tidy and compact measuring stations. The selected system configuration of the modules is detected automatically and unnoticed by the user, who only needs to define the specific measuring channels. When using EnDat encoders like the HEIDENHAIN-ACANTO touch probes you do not even need to configure the measuring device. It provides all the data required for operation itself and is immediately ready to measure. 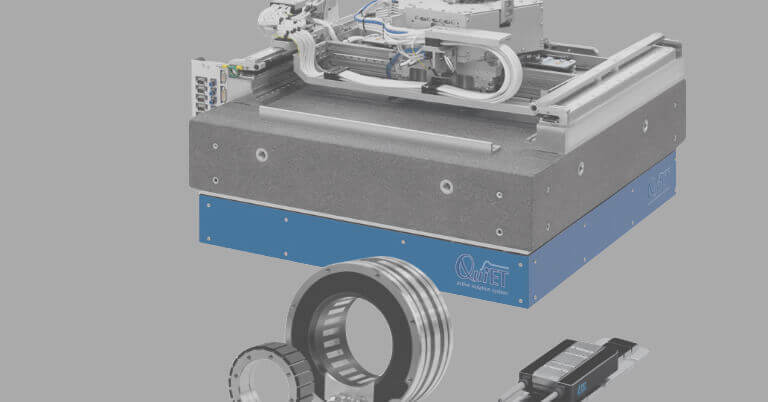 Of course, the MSE 1000 also enables EnDat encoders to be connected in their entire functionality, and this gives users decisive advantages in terms of the predictive maintenance of their measuring systems. The functional reserve of absolute and incremental tracks can also be depicted for example thanks to the online diagnosis functionality of EnDat devices. Users can also access other operational criteria such as illumination condition, signal amplitude and position value calculation, thus decisively optimizing the operational availability and safety of the system. Apart from the HEIDENHAIN EnDat protocol for absolute encoders, the MSE 1000 also supports all standard incremental encoders. Furthermore, it provides other connection options for analog sensors like LVDT and HBT position sensors from renowned manufacturers. Modules with switching inputs and outputs enable interaction with other actuators in the encoder. A DLL program library is included in delivery with the MSE 1000. 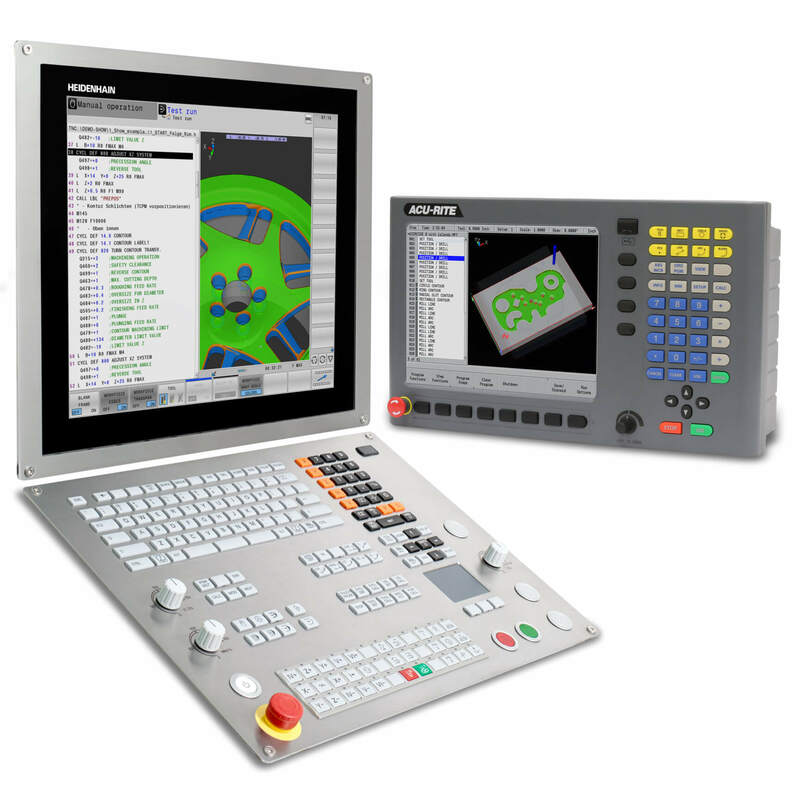 This represents the range of features of the MSE 1000 on the software side and enables operators to develop their own testing programs. For testing processes that require additional actions depending on the measuring result, it is possible to connect more inputs and outputs. This programming capability of the MSE 1000 partly eliminates the need for additional control equipment.